Verve is about celebration. And what’s not to celebrate with room full of Ververs in an Aston Martin showroom, especially when James Bond is in attendance and there’s century-old cognac to share. 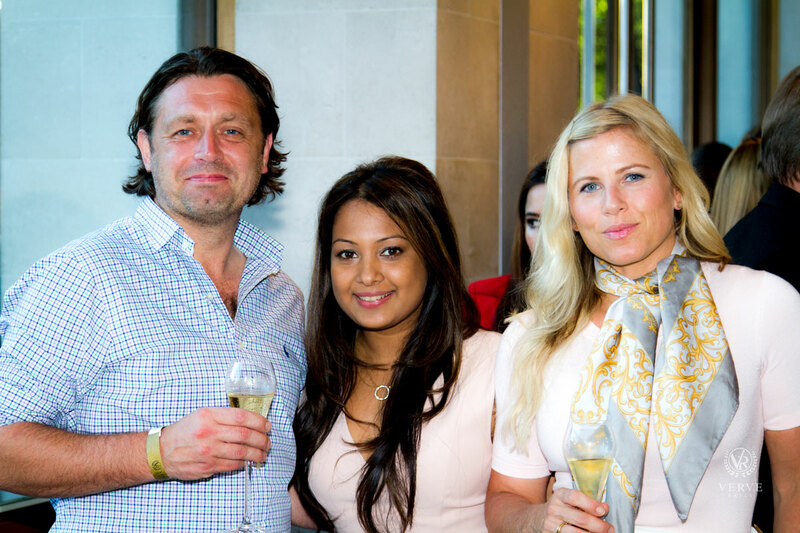 The latest Verve Rally event was another exclusive opportunity for Ververs to connect with like-minded people, along with enjoying opulent extras provided by partners like FrereJean Freres, Home House and Dior. Many people can stand besides an Aston Martin V12 Vantage S. Only one doesn’t feel the urge to take a selfie: 007. Daniel Craig’s body double welcomed guests to the event in his full Bond attire, performing an iconic pistol-pointing routine and looking enviably natural besides the sleek curves of the Vantage. Bond’s tipple is shaken not stirred, although the sommelier from Frerejean Frères, Francois Belin, had a few words to say about that. Their beautiful Blanc de Blancs Champagne shouldn’t be wasted by shaking up the bottle. It’s created using 100% Chardonnay grapes and Francois made a short speech, describing it’s refined taste and that’s attributed to the unique terroir from which it originates in the Cote de Blancs. 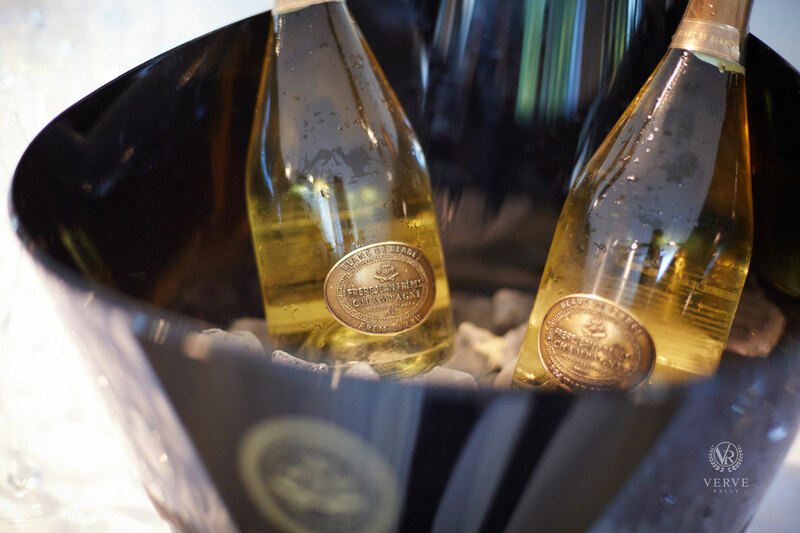 Started by brothers of the famous Taittinger family, Frerejean Frères Champagne showcases a passion for oenology, much like our passion for luxury cars and lifestyle. Since launching in the UK a few short years ago, Ververs quickly realised why Frerejean Frères have been making a name for themselves on this side of the Channel. Ververs also savoured an exclusive tasting of a 100 year old Cognac Coutanseaux Aîné which proved to be as smooth and sensual as the Vantage. Everyone knows Bond’s favourite drive, but discussion floated through the showroom as Ververs discussed their own luxury cars, particularly the wheels that will be traversing six countries in nine days on one of the upcoming rallies. Shaun Rankin, Two Michelin Star ChefDouble Michelin-starred celebrity chef Shaun Rankin was among those sharing opinions as guests networked besides some of Britain’s finest engineering. It was hard to be in Aston Martin Mayfair’s showroom and not picture sweeping through French vineyards in a DB9 Coupe, or approaching a walled medieval town in a Vanquish. Canapés were flying off the trays and glasses were clinking to new friendships. Of course there were also prizes, with a draw for a bottle of FrereJean Frères Champagne, a Dior Pamper Package, and an exclusive VIP Aston Martin Factory Tour. It all added some life to a Monday. Verve Rally isn’t just a single car event. It’s about lifestyle and always maintaining a touch of adventure. Monday’s exclusive event was just the latest in our networking evenings, a chance for Ververs to meet in unique settings. Participants on any Verve Rally enjoy exclusive invitations to these events, along with bonuses from our partners. Next up, a handful of Ververs will be cruising the Thames with Vantage Yachts. To join our community and get involved with Verve, check out our social media feeds below and discover more about the Verve Rally at www.ververally.com.